50uF will work just fine. Let's pull a similar trick to solve for the screen capacitor CS. We'll use 150k. A grid resistor value of RG = 1M is a standard that places only a light load on the guitar circuit while providing sufficient grid leak. Why argue with success? We'll use 1M. 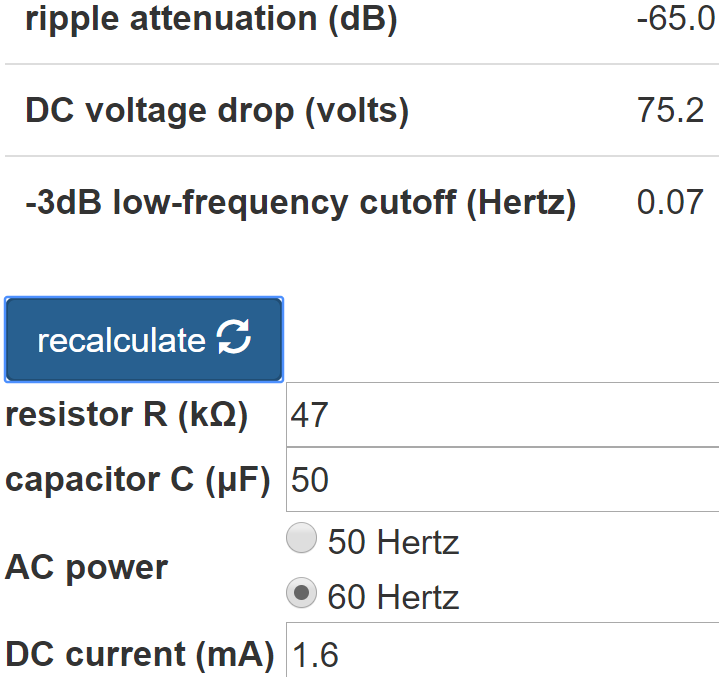 If we want to penny-pinch a bargain basement amp, we can reduce the capacitor size based on the ripple suppression upstream of R3. On the other hand, let's spare the math for once and bestow a quality capacitor on a very deserving tube. Here is our final design.